It was in 1983 when I first knew of Prince, and as a young artist I appreciated how colorful he was. He was this rock star who looked like he just walked out of the 17th century. I also owned every album he made at one time and I really liked that he designed his own album covers. ...He will be missed and I hope to see him in the Purple Rain. 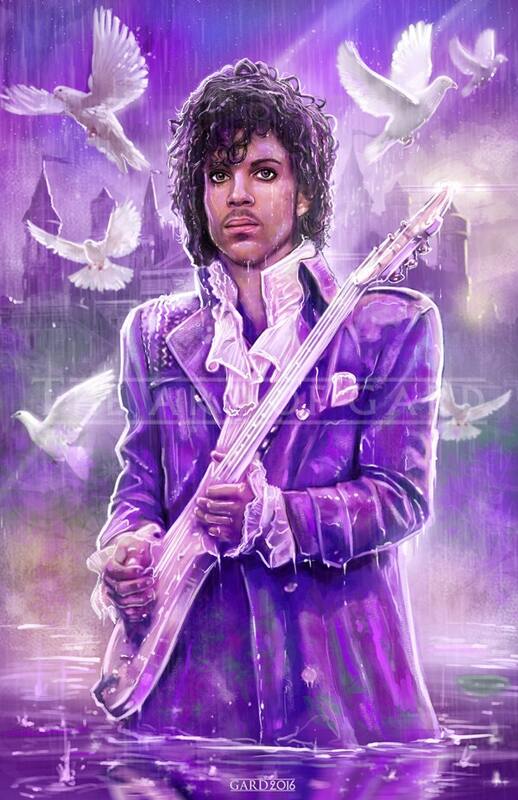 Here is my tribute... "Purple Reign"